In a follow up to the ‘Footjoys – In need of a retread‘ post, here are the results. I couldn’t be more pleased – Footjoy recognized that the warranty did apply to these shoes, and completed the work at a $0 cost. 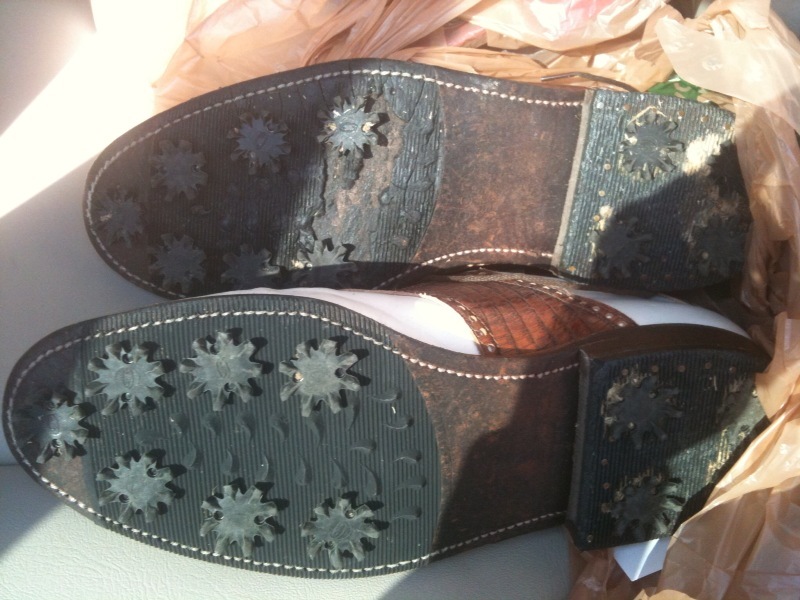 The shoes were totally rebuilt. What happened during the process what that Footjoy called and said they couldn’t find the rubber/leather combination sole, as they aren’t produced anymore. They asked if it was OK if they replaced it with a full leather sole – fine by me. It also meant that they would rebuild the waterproofing as well.